There’s no bigger holiday that will test your front door than Halloween when dozens of ghost and goblins craving sugar ring your door bell. Is your front door ready for the candy crush? Depending on the type of door you have and the age of your home, your door frame or even your front door itself can swell with moisture or shrink with heat. So instead of a door that closes smoothly, an ill-fitting door squeaks, scrapes and rattles. 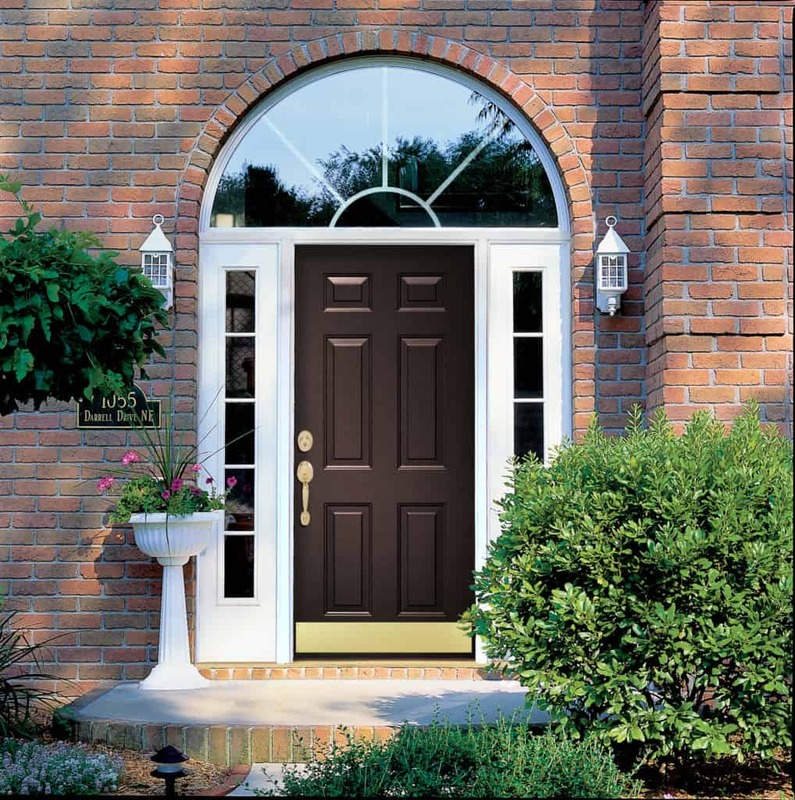 Here are some tips to fixing your ill-fitting front door. When you hear the scraping or sticking noise coming from a front door that it might not be from a Halloween guest. Don’t automatically reach for a planer or course sandpaper. Check the hinges. When the edge of the door opposite the hinge is hitting the door jamb, you can adjust the hinge using a screwdriver. Bent hinges can also cause a door to hang incorrectly. Replace door hinges that are damaged. Rehang the door to counter any swelling or shrinking of the door jamb and door. Check the strike plate for damage and property alignment. The strike plate is positioned over a hole in the door jam where the latch bolt engages. It may need to be replaced. Remove any popped nails on the door jamb that could be causing the jam to loosen. Lubricate squeaky hinges. If it looks like the alignment is on par, use a lubricant on a squeaky hinge or stuck latch bolt. Check the threshold. Many are spring-loaded. To fix a gap at the bottom of the door, you can usually adjust the screws holding it down to raise it up. You can also replace the weather stripping at the bottom of the door. Do you feel a draft around your door? Old, energy inefficient doors not only can let in drafts, they are costing you money in heating and cooling leaks. Have you had water damage to your front door? Water can damage the integrity of the door, cause mold and compromise the energy efficiency (R-Value) of the door. Critters have made your front door home. Insects will damage the structure of your door and door frame. Your old, outdated door makes your home look more like the entry to a haunted house. 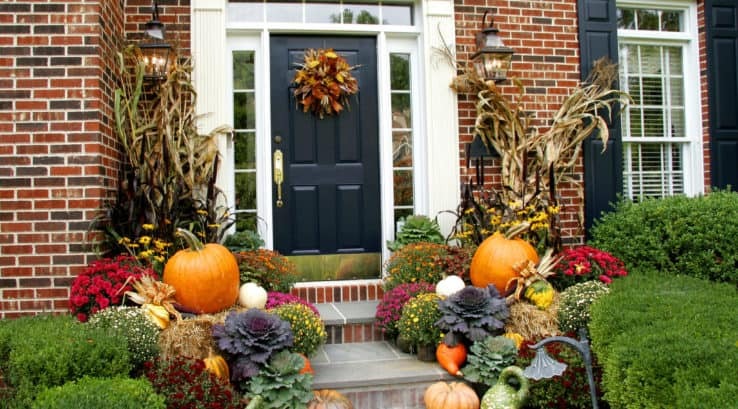 Now that you’ve either replaced your front door with an energy-efficient custom entry door or made repairs to get your front door to function as it should, make sure your costumed guests can safely find their way to your candy. 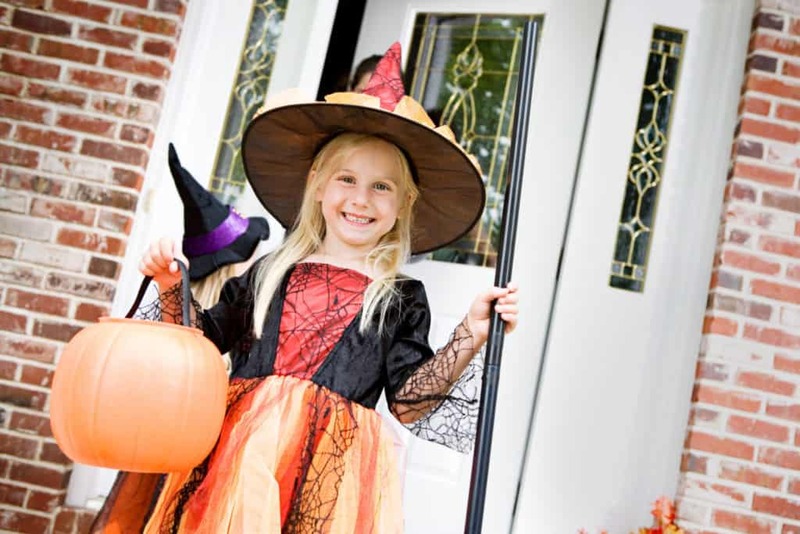 Here are nine ways to prepare your house for a safe Halloween. Clear walkways. Remove tripping hazards like garden hoses or leaves. Turn off your irrigation system. Choose candy that isn’t likely to be a choking hazard for your smallest goblins. Turn on your lights so finding your front door is easy. Keep Fido inside and secured. When possible hand out instead of leave a bowl at the door. This prevents anyone from tampering with the candy. Put your car in the garage. Stay off the roads during the trick-or-treat hours. Be careful when you open the door. Have a clear view of who is coming to your front door. Get your home ready for Halloween this year. A replacement front door from Thompson Creek not only improves the energy efficiency of your home just in time for the cooler weather, it will get rid of the squeaks and screeching that comes from your ill-fitting door even after your Halloween revelers turn back into your neighborhood kids. Call us today for a custom quote.